I’ll check this when I get to work, but as I recall, the ones my company sells are either 14" or 14-1/4" wide so they’ll still fit in a slightly not-perfectly spaced 16" OC framing. The combo boxes (switches + outlets) do throw a bit of wrench in the spokes but its not an insurmountable problem. I just need another option for these types of boxes and a way for the user to specify what electrical component they want to go in each slot. I do like this idea however rather than create a single extension I will create a new suite of extensions called mdkMEP which encompass all three of the new extensions. I have way too much on my plate to do much with the mechanical and plumbing extensions just yet but at least I want to get something out on the electrical for now. At some point (NOT URGENT), probably the plumbing fixtures toolbar should be a part of the mdkMEP suite of extensions. I’m not sure where this module is going to go yet. For now I’ll keep it where it is at (it currently is disabled). When I start working on it again I will figure out where it best fits in. Plumbing and bathroom fixtures seem like a good fit but then you have to think about the Kitchen too. I’ll have to give the plumbing plugin more thought. Right now I think it would primarily focus on the actual plumbing rather than the fixtures. Some sort of kitchen module would be lovely, but of course at some point (NOT URGENT). I’m not an electrician so bear with me, I’ll probably get a few things wrong initially. When you gang together switches you typically see the symbols ganged together as well. However with outlets is the same symbology used or do you just put a subscript next to the outlet symbol indicating the number of outlets and just show one outlet symbol? 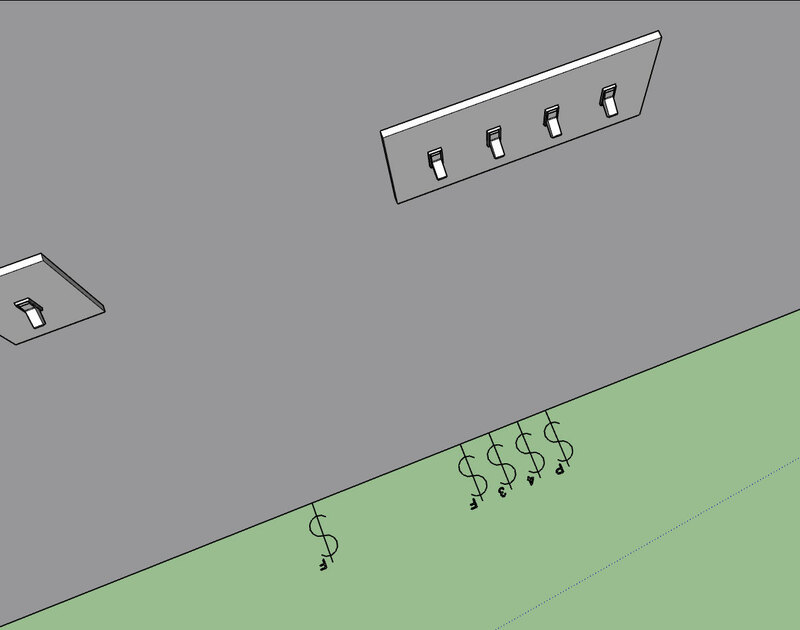 After reviewing a few more electrical plans online it looks like the convention is to show the ganged outlets similar to ganged switches. 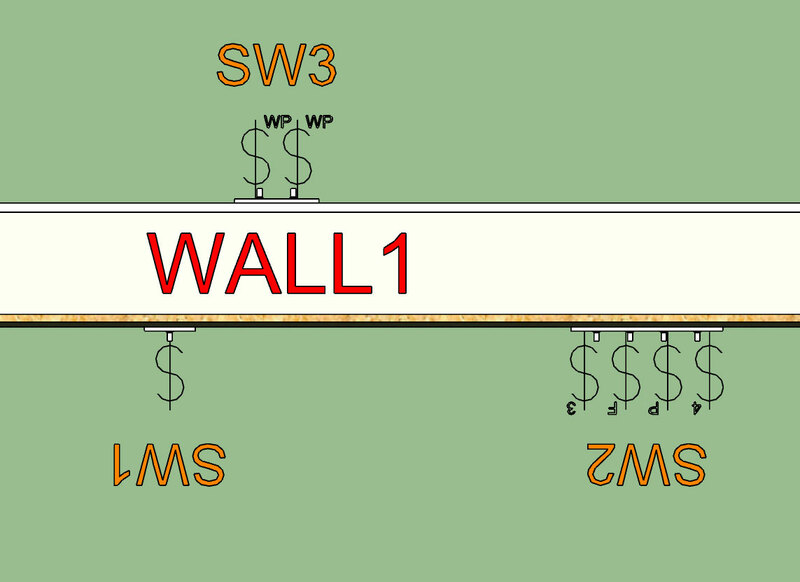 For junction boxes or blank face plates I am following the same convention as I am for outlets and switches and showing a symbol for each location. I will eventually add another icon in the toolbar for Combo Outlets (ie. 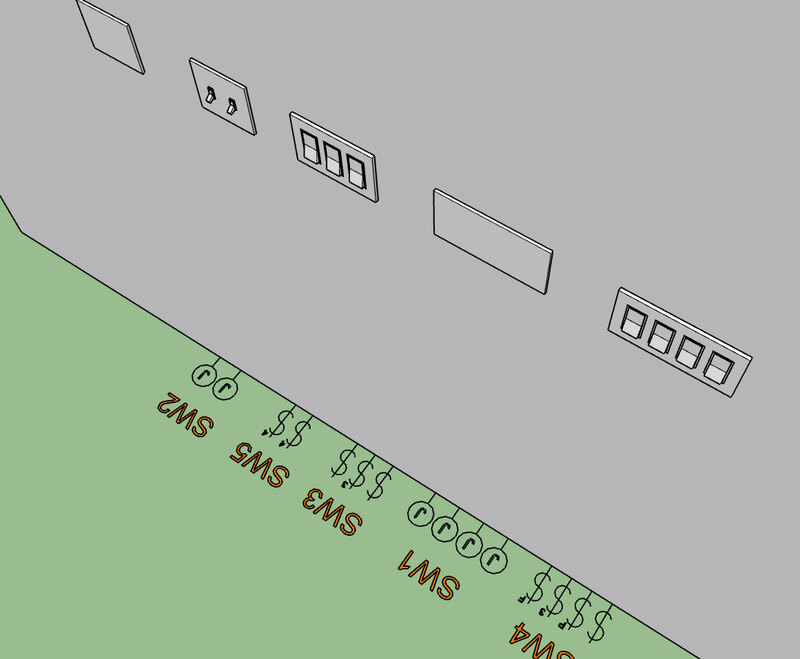 switch, blank, outlet combinations), however I probably won’t get to this until later. Note that, for Decorator style devices, it’s far less of a problem. Switches, Outlets, Motion Sensors, etc. all use the same opening! Sorry, I forgot to check while at work, but I just checked from home. Eaton BR series load centers are 14.31" wide once they hit 12 full size circuit breaker spaces (smaller ones are narrower). Meter/Breaker and Meter/Breaker/Loadcenter units are almost always wider and are normally either surface mounted or semi-flush (and framed like a rough window opening). This is in areas where the electric utility requires that residential meters for up to duplex or triplex be outside for easy reading. Beyond that, you’re usually into semi-custom equipment that is likely beyond the scope of what you’re trying to do! 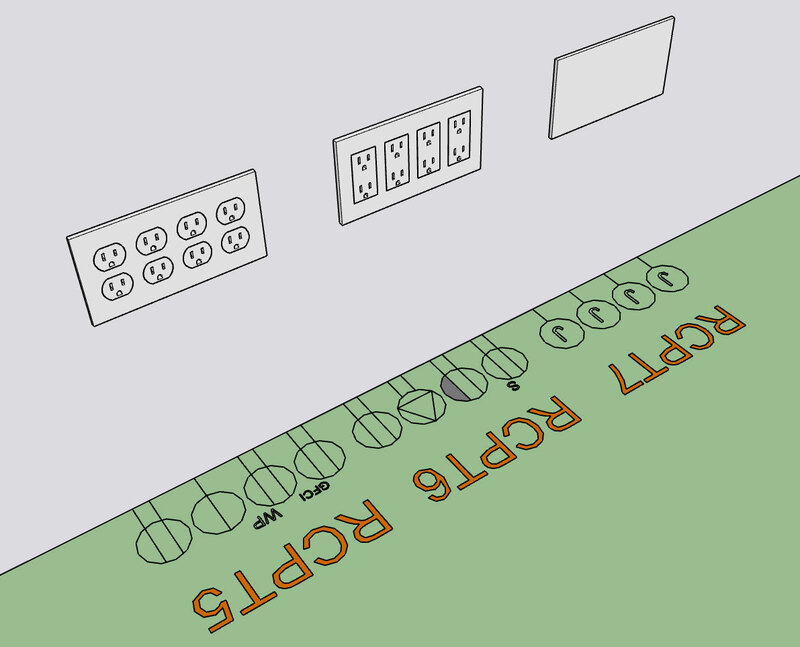 I now need to look at all of the various outlet types and add in those annotations. (eg. Range, Dryer, Welder etc…), these outlets will utilize a different box style as well as their own special faceplates. I still need to put some logic in for the single, weatherproof and GFCI receptacles so that they display the proper outlet and corresponding face plate. I’ve seen them used as well for washing machines. Basically any appliance that where the receptacle ends up inaccessible for other uses gets a single receptacle configured to supply the appliance. What he said. Sometimes you need a single just for maintenance / cleaning purposes. The possible permutations are crazy so I am trying to limit things slightly for certain outlet types, I think this makes the most sense. Just trying to rein in the madness. For instance I have never seen multiple GFCI outlets ganged up in a single box, only ever one with another switch or regular duplex/decora receptacles. Also what type of weather proof outlet would you prefer I include as the default? I’m looking at Leviton’s offerings and also at Taymac, too bad I can’t seem to find readily made models for any of these. Oh well, I would probably have to remodel them anyways because the poly count would probably be obnoxious. 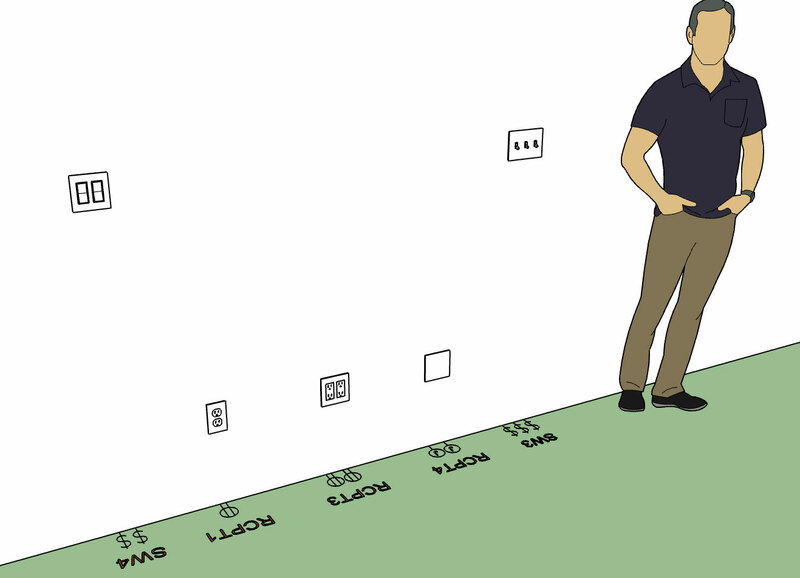 After digging through Leviton’s website straight for the last 3-4 days I now know more about switches and receptacles than I care to really, but it certainly is an education. I’m still amazed at all of the possible combinations of switches and outlets that are possible and how the manufacturers do their best to provide as complete coverage as possible, there are literally hundreds of face plates (configurations).